smooth & noiseless operation. The superior quality powder coating done by us, protects the fan from corrosion. Best quality ball bearing for low noise & longer life. ELECTWELL is made of two words ELECT & WELL. ELECT means Choose. WELL means Good. We Choose Good quality material & use good quality workmanship to produce good quality product. Our Logo THE REAL TOUCH says that the product is of a quality which is so tough to withstand the impact of voltage fluctuation & rough weather conditions to give you a trouble free long life. 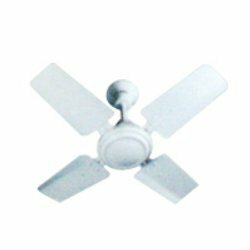 Established in 1992, we are a prominent Indian manufacturer & supplier of electrical fan. Our vast range includes Heavy Duty Exhaust Fans, Air Circulator Fans (Wall & Padestral), Ceiling Fans, Mini Ceiling Fans, Ceiling Exhaust Fans, Transair Fans, Fresh Air Fans, Industrial Exhaust Fans, Room Heaters, Pedestal Fans, Wall Fans, Table Fans and more. Our fans are available under that brand name ELECTWELL, which is a symbol of quality and workmanship. All our products are ISI compliance & are in congruence with the industry defined manufacturing & performance standards.